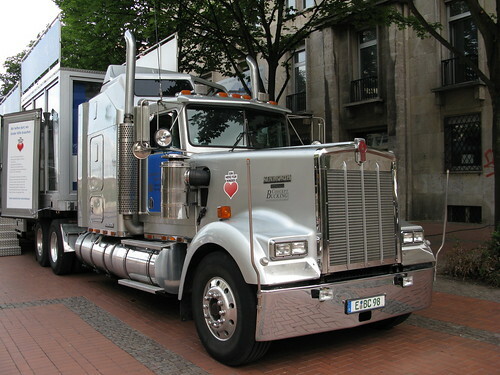 The Heavy Vehicle Use Tax and form 2290 have become a kind of the staple of the transportation industry. People who own a fleet of heavy vehicles like trucks or operate such heavy vehicles need to deal with 2290 and HVUT first. There are considerable changes that have taken place in regards to this tax and even the form. Both the federal government and the IRS have tried their level best in keeping up with the major changes that have taken place with time. It should not be taken in the form of a one-sided task for IRS 2290 tax, the changes that have taken place need to be understood and well-researched by the truck drivers as well as the heavy vehicle owners. There are many truck drivers and truck owners that face different types of problems when they file the form. This is because they do not have a very clear understanding of the procedure that they are carrying out. Relying on a tax professional is not considered a good idea but it can always help in relieving some pressure. The Heavy Vehicle Use Tax was basically imposed in the year 1982 by way of the Surface Transportation Act. The main purpose of HVUT was placing a certain amount of charge on the use of vehicles on public highways or roadways. This did not work as a very good idea. Further the government came up with the thought that heavy vehicles are the ones that cause major damage to the roadways. A study was carried out by the FHWA which showed that doubling a vehicle weight resulted in the exponential increase of roadway damage. With time, the damages also started increasing gradually forcing the government to take some form of action. Thus, the government came up with the 2290 tax where the money collected in the form of tax could easily be used for funding roadway repair, maintenance and creation. Thus this form 2290 needs to be filled in and submitted by heavy vehicle owners and the taxes need to be paid accordingly. Since the inception of the IRS 2290, there have been some changes in this system. There has been an upgradation in the process of the HVUT being implemented by the IRS. With changing times, there have been small and large changes in the entire procedure but the main motive behind these taxes has always remained the same. There is the e-filing option available for the filers who do not have good experience in filing their tax returns. There are various online service providers helping the filers in filing their taxes according to the instructions provided by the IRS. In future, some other changes are likely to occur in this entire procedure.